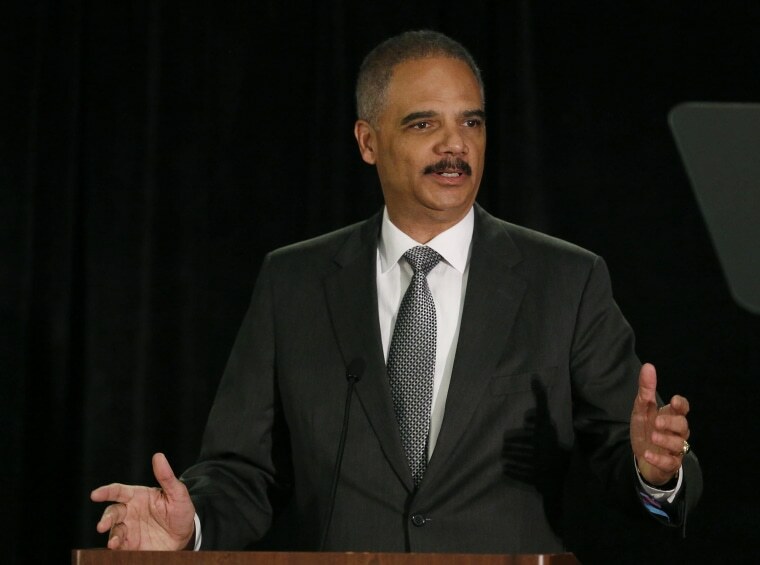 Attorney General Holder: No Such Thing as "Too Big to Jail"
U.S. Attorney General Eric Holder said Monday that no person or bank, no matter how large or how profitable, is immune to prosecution if they break the law. "There is no such thing as 'Too Big to Jail,'" Holder said in a weekly address on the Justice Department's website. The comments came as federal prosecutors push two banks, BNP Paribas SA and Credit Suisse AG, to plead guilty to criminal charges to resolve investigations into sanctions and tax violations, respectively, according to people familiar with the probes. While Holder did not name any banks, he said he is personally monitoring the ongoing investigations into financial institutions and is "resolved to seeing them through." French bank BNP Paribas warned last week it faces fines from U.S. authorities in excess of $1.1 billion over allegations that it violated U.S. sanctions against Iran and other countries. The Swiss finance minister met Holder on Friday to discuss a U.S. probe into Swiss banks that allegedly helped Americans evade U.S. taxes, which includes Credit Suisse.